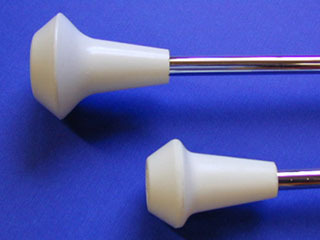 This baton uses the same design the Starlet Baton, except it has a smaller shaft with a diameter of 5/16 inches (8 mm). This is the perfect baton for small hands and short fingers. 28 inch / 70 cm?